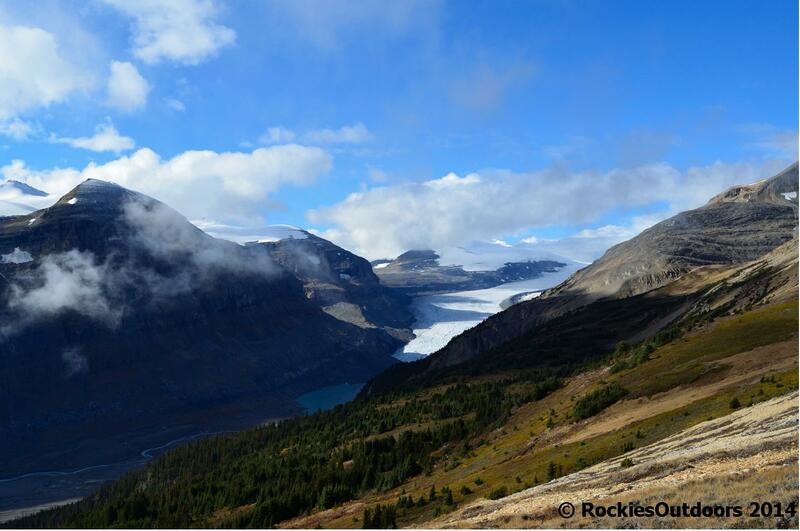 The hike to Stanley Glacier in Kootenay National Park has a fascinating trail. Starting off you walk through an eerie burnt forest landscape where the scorched trunks of the former forest are surrounded by the vibrant green of the new growth lodgepole pines. Getting out of the strange forest landscape, the trail winds through the rocky landscape where the Stanley Glacier would have reached not so long ago. The official end to the maintained trail is signposted in the middle of the valley, but it is possible to carry on up a little further on a less well worn trail. Cory Pass Loop is billed as being one of the more challenging day hikes in the Banff Area. It is. The trail is demanding and isn’t one that can be rushed. In my opinion the most demanding part of the hike is the initial slog up to Cory Pass, as the trail is steep. The view from Cory Pass back to the Town of Banff and over the Vermillion Lakes gives a different perspective of the area from if you’ve done some of the close to town hikes such as Sulphur Mountain. The hike makes a loop around Mount Edith, and passes below the impressive Mounts Cory and Louis. The trail down from Cory Pass is on loose rock and isn’t a maintained trail so I recommend taking a good guidebook with detailed information on the correct route. 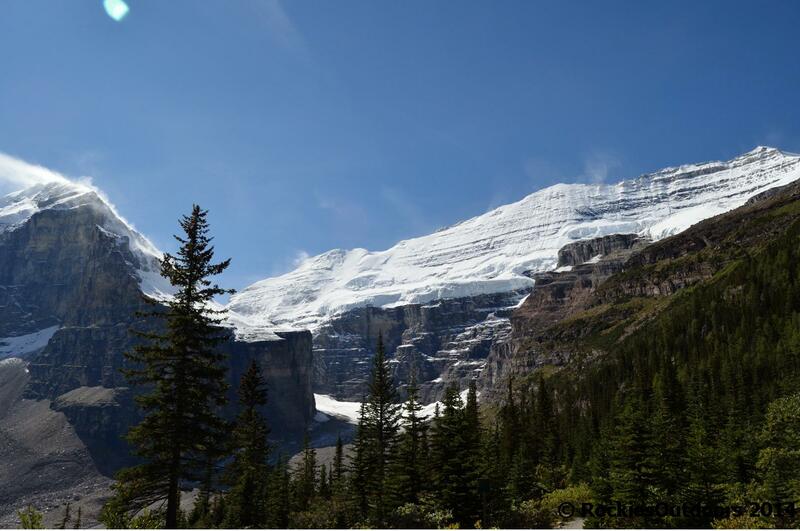 I love the hike to the Plain of Six Glaciers, Mounts Victoria and Lefroy and the surrounding glaciers are always spectacular and never fail to impress. I love how the trail gets quieter the further away from Chateau Lake Louise, and making the journey past the teahouse to the viewpoint from where Abbot Hut can be seen. The highline trail up to the Big Beehive and then over to Lake Agnes is steep going up, yet worthwhile when you see the views from the top of the Big Beehive. This way back to the lake shore is also very much worth the effort if you want to avoid some of the crowds on the trail at the edge of Lake Louise. 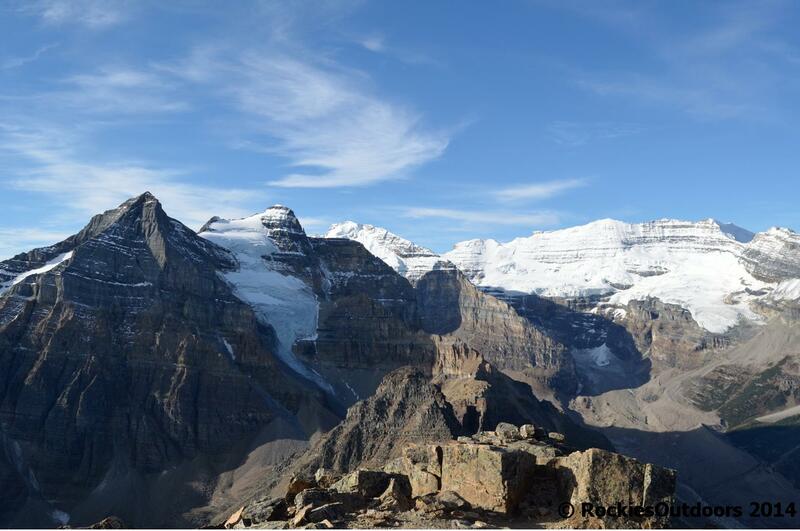 Paget Lookout is an enjoyable hike in Yoho National Park. 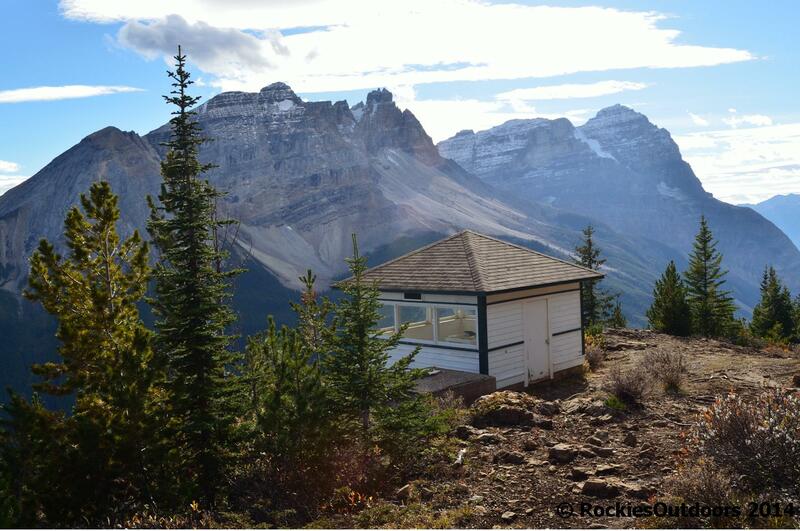 You climb up to an old fire lookout which has good views of the Kicking Horse River in Yoho National Park. There’s an option to carry on further to the summit of Paget Peak too, where you’ll be able to see emerald-green Sherbrooke Lake. 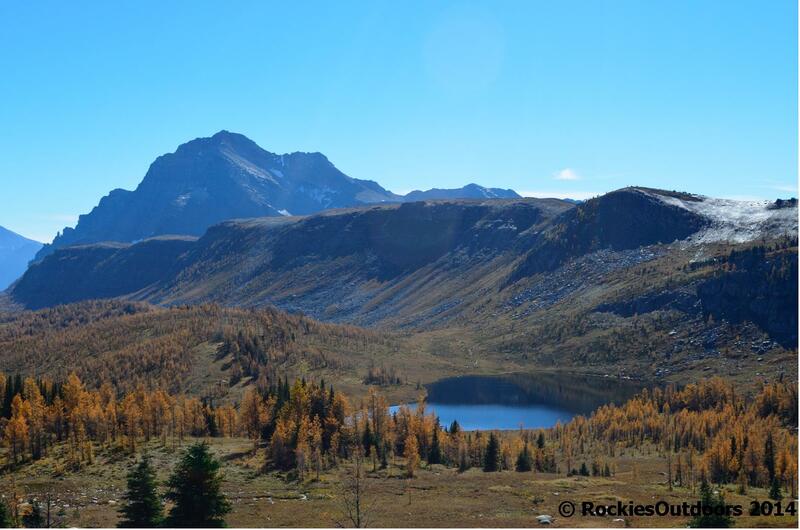 If you’re looking for those ‘golden larches’ that the Rockies are famed for in the fall, Healy Pass is a great hike for you. It’s a little quieter than the famed Larch Valley at Moraine Lake as once you reach Healy Pass you can walk along the larch-forested ridge to find your own space. I think another factor is that it doesn’t have ‘larch’ in the name! The trail starts at the Sunshine Village parking lot, and climbs through dense forest, crossing over creeks which are perfect for soaking your feet in on the way back down. Leaving the forest you get out into open grassland/alpine and then reach the crest of Healy Pass which is dotted with golden larches in the fall. I hiked Mount Fairview in the fall. I set off early so there was still frost on the ground. Climbing through subalpine forest you eventually reach Saddleback Pass which heads towards Paradise Valley. Instead of heading down into Paradise Valley you take the trail upwards to Mount Fairview, which switchbacks along the rocky slopes. With views over Lake Louise and towards Mount Temple, it is undeniable that the ‘fair view’ from the top of Mount Fairview is fair, but really there aren’t enough superlatives to describe it. I recommend taking a good guidebook and map too, to make sure that you are on the correct trail up from Saddleback Pass. 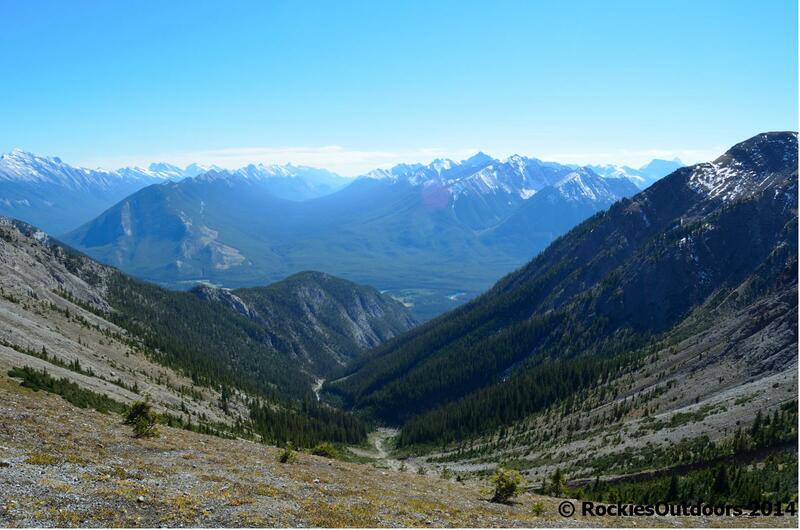 I was recommended to do this hike In Kootenay National Park, and it was such a great recommendation. I did the hike midweek in October (2014) and the trail was really quiet, I think I saw only four other people the whole day. I had lunch on the porch of the warden’s cabin at Floe Lake, and then continued up to Numa Pass which is part of the longer (55km) Rockwall Trail. This is such a rewarding hike. I’ve done it twice this year (2014). The first time I cycled to the trail head from Banff, which is about 30 kilometres (18.5 miles), combined with a roughly 17.8 kilometre (11 mile) hike and then the return cycle back to Banff. It was exhausting but definitely worth it. The second time I drove from Banff, which gave a great time advantage and it was a perfect day (the first time it was raining on and off), this meant that I had time to make part of the scramble up Castle Mountain. I always love looking at Castle Mountain when I’m on the way north to Lake Louise, in the summer it is always great to try and spot the Alpine Club of Canada’s hut on one of the buttresses. I didn’t quite have enough time to make it all the way up to the top of Castle Mountain, but it’s something I’ll do at some point. 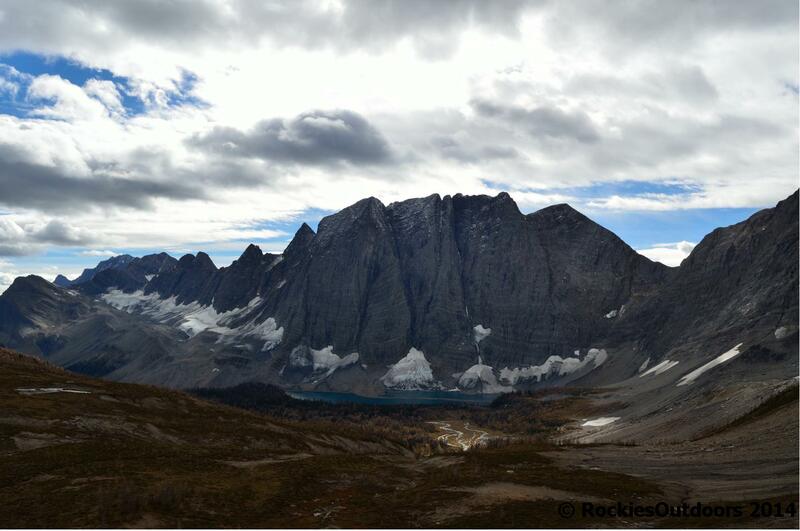 Just getting to the cliffs above Rockbound Lake was incredibly rewarding. I loved doing the hike to Skoki last October, it was incredibly fulfilling to have accomplished this hike after a six year wait. 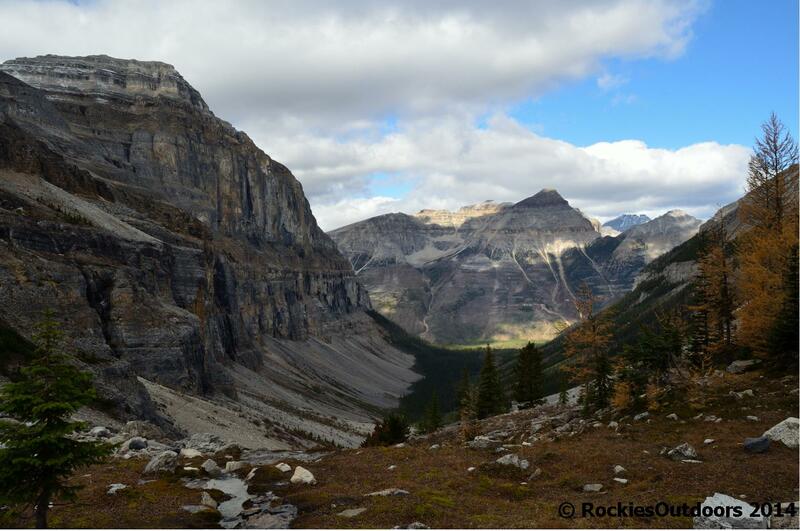 I had such anticipation for the hike, making my way down to Skoki from Packer’s Pass was filled me with so much excitement. 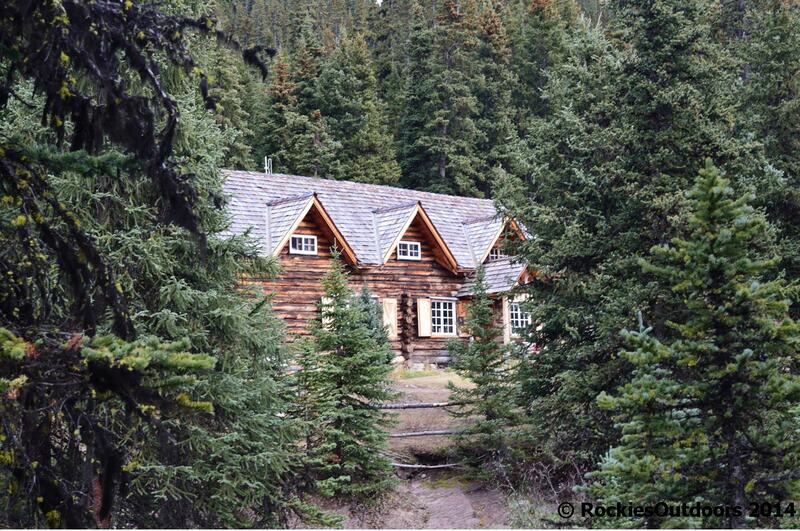 Getting glimpses of the lodge and surrounding cabins added to that excitement, and finally reaching the lodge clearing was amazing. It was really great to be able to go into the lodge and see what the main room was like. It is definitely my aim for 2015 to go and stay there for a couple of nights. So that is what Rockbound Lake looks like in summer. We have only done that hike once , through thigh high snow, which took all the fun out of it. Looking at the picture it looks like one we need to check out again. It’s really worth it – I’ve got some more photos of the hike so I’ll make a post about it soon! Some great hikes there, we have already done some of them. 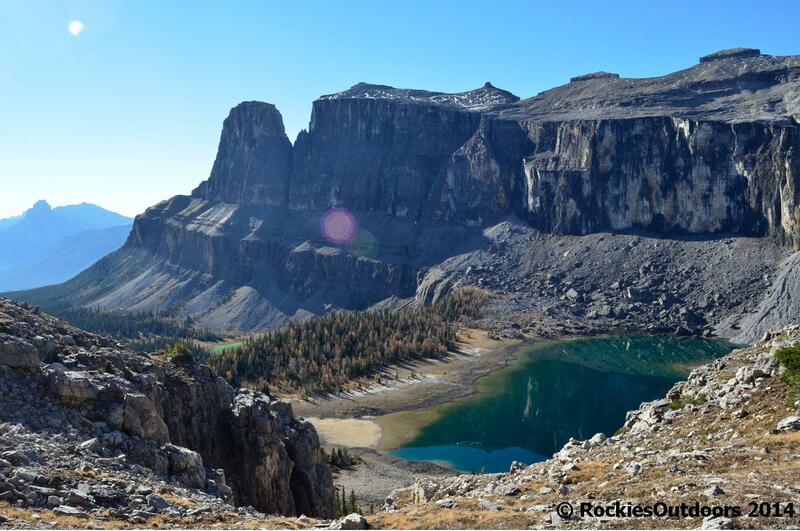 But I haven’t heard about Rockbound Lake before and I’ve always wanted to go hiking in the Castle Mountain area! Whereabouts does the trailhead start? If you’re headed west on Highway 1 turn off at Castle Junction, towards the Bow Valley Parkway turn right to head back east and then it’s almost immediately on your left. I’ll make a whole post about it soon with some more photos. This is extremely useful information. Thanks! Excellent list. I’ve done Parker’s Ridge and it’s amazing (and quite windy).